The US dollar rose against most major pairs on Friday. Only the Japanese yen was able to gain against the mighty greenback. The FOMC statement eased concerns that the Fed would hint at a pause in its tightening of monetary policy. The lack of changes, and given that there was no press conference, and lacking other details overall boosted the US dollar ahead of the release of inflation and retail sales data. The uncertainty about the US-midterms has passed and the market remains confident in US growth despite political parties splitting house and senate. US fundamentals have worked in favor of the dollar. European data will decide the fate of the euro with the release of German ZEW Economic Sentiment, German preliminary GDP and the European Union first estimate of quarterly GDP growth. ECB policy makers Mario Draghi and Jens Weidmann will speak in Frankfurt to close the week with investors eager for insights into the next steps of the central bank. The EUR/USD lost 0.43 percent in the last five trading sessions. The single currency is trading at 1.1334. The euro rose near the 1.15 price level as the results of the midterms was released but as uncertainty cleared andThe FOMC rate statement was published the dollar rose. The gap in rates between the US and Europe will grow bigger as December has high probabilities of an interest rate lift by the Fed. The European Central Bank (ECB) on the other hand is not likely to start ramping up rates until the summer, and that is conditional on the economic performance improving despite political interference. For the time being the Italian budget drama has not triggered an exit from the Union. Deputy Premier Luigi Di Maio reassured the market that Italy won’t exit the euro. The slowdown of the Chinese economy is increasing worries about global growth and making the US dollar more attractive as a safe haven, putting more downward pressure on the euro. The GBP/USD gained 0.11 percent in the last five days. Sterling is trading at 1.2975 versus the USD. The currency pair was lower on Friday as new of the resignation of MP Jo Johnson on Friday. The UK Transport secretary, and brother to Boris, resigned in protest over Theresa May’s Brexit plan. In contrast to his brother, Mr Johnson was a remain campaigner and he has deemed the current deal a terrible mistake. The UK government continues to struggle to please too many contradictory interests and although hope of an orderly exit has risen with EU officials saying a deal is close, the fact remains that in some crucial issues a consensus has not been achieved. The Irish backstop has become a bigger headache as what the UK wants will not be acceptable by the EU, and what would be agreed to by the EU would not be easily sold to Northern Ireland. The NZD/USD gained 1.38 percent during the week. The currency pair is trading at 0.6736 after the Reserve Bank of New Zealand (RBNZ) held rates, but was seen as hawkish. Employment data supported the view of the central bank with the unemployment rate touching a low not seen since 2008. The size of the recovery took the market by surprise and boosted the kiwi against the US dollar. The currency will face mounting pressure as the US gets back in the drivers seat with Fed rates and the US-China trade dispute big factors that will influence the NZD. Energy prices fell this week, West Texas Intermediate dropped 4.67 percent and Brent 3.64 percent as fears that the market will have more oil in play than what it is justified by existing demand. The US sanctions against Iran triggered a rise in prices, with Saudi Arabia and Russia pledging higher production to cover the gap in supply. As sanctions got closer it was announced that Iran’s biggest clients would get waivers, reducing the need for more barrels, but it was already too late to correct production schedules and trades valued oil lower accordingly. Disruptions from weather and geopolitical conflicts have taken oil prices higher, but as weather impacts on oil production have eased and the Iran waivers and the Iraq-Kurdish agreement there will be a swing in the other direction for energy prices. Gold fell 1.92 percent during the week after the Fed’s Federal Open Market Committee (FOMC) statement made clear the central bank will continue its pace of monetary policy tightening. A December rate hike. The CME FedWatch tool shows a 75.8 percent probability of a lift to the Fed funds rate at the FOMC meeting on December 19. Uncertainty ahead of the US midterms had kept the yellow metal bid as the US dollar lacked traction. 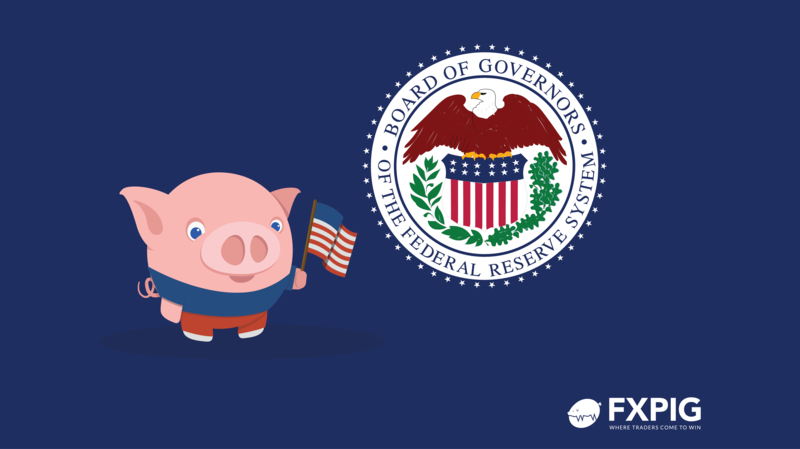 With the elections sorted, the market focused on US fundamentals and the Fed delivered a statement with no changes, hinting at a rate hike at the end of the year.